The Kansas City Star is reporting that Chiefs' wideout Tyreek Hill was named in a police report concerning the alleged abuse of a minor. The incident in question seemingly took place on March 5th in the suburbs of Kansas City. 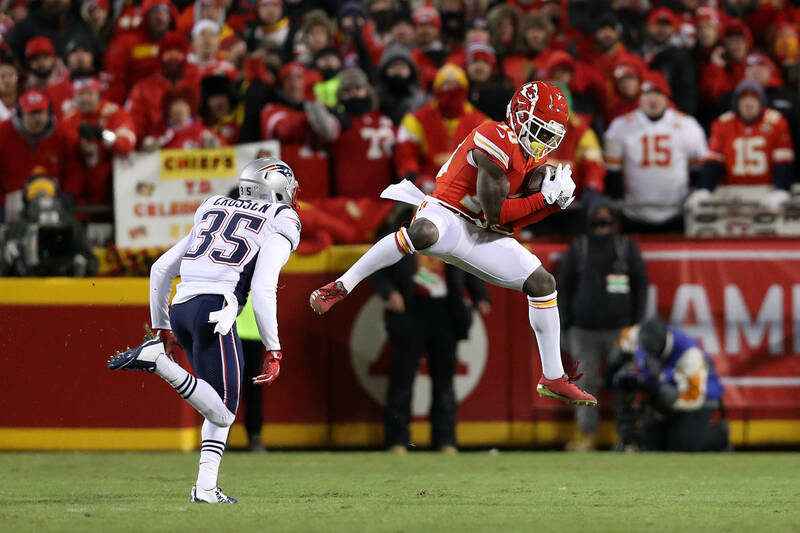 Tyreek Hill's employers the Kansas City Chiefs were informed of the incident before The Star broke the story. The football player isn't the only person listed by the cops, as Hill's fiancee Crystal Espinal figures in conversation as well (under the heading "others involved"). The following statement was issued by the Chiefs' organization in support of the Kansas City Star article. “The club is aware of the investigation involving Tyreek Hill," the Chiefs' PR team has written in the interim. "We're in the process of gathering information and have been in contact with the league and local authorities. We’ll have no further comment at this time." TMZ reached out to the District Attorney's office regarding the issue but were told nothing Tyreek Hill-related was listed in the system. Sources close to the situation indicate that Hill and Espinal's 3-year-old son is at the heart of the issue. It's also worth noting that no arrests have been made as of this moment.